Congratulations to the newest member of the TRU Board, Nick James. She joins the Board as the Women’s Rep.
Nick began playing with the A&M Women in 2008 and served as an officer, a captain, and began coaching in 2011. 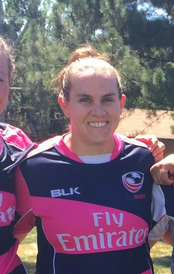 She has also played with the Austin Valkyries and currently plays for HARC. In addition to all that, she also had the privilege of playing with the TRU U23 Select, West U23 & Women’s Select, Collegiate All-Americans, and the USA Development teams. Since 2011 she has served as coach for the A&M Women, the Woodlands High School Girls, and the TRU U19 & U23 teams. In April she was selected as a coach in the Emerging Coach Development Program where she was an assistant coach for one of the senior women’s teams competing at the National All-Star Competition. Feel free to reach out to Nick at njames11@me.com.